How much ease do each of the two patterns to be mashed-up include? We need to make sure that we can make the two patterns fit at the waistline. Do the construction seams of the bodice match those of the skirt, for example, do the bodice’s princess seams match the skirt’s panels? Do the side seams match up? 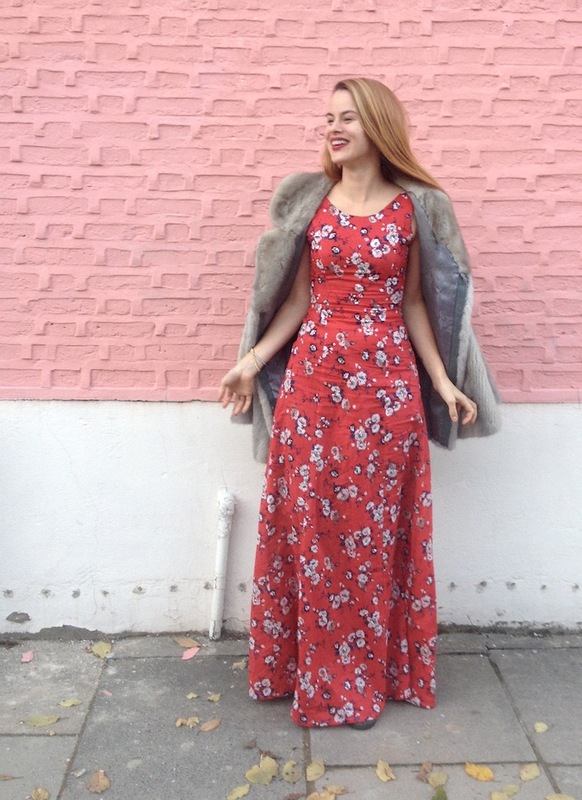 In this post we’ll be showing you how to add a little or take away a smidge from the Anna Dress skirt panels in order to get all the seams to match up. Where is the zipper (or other form of entry) positioned on each pattern? You’ll make your life a lot easier if it’s the same on both patterns. 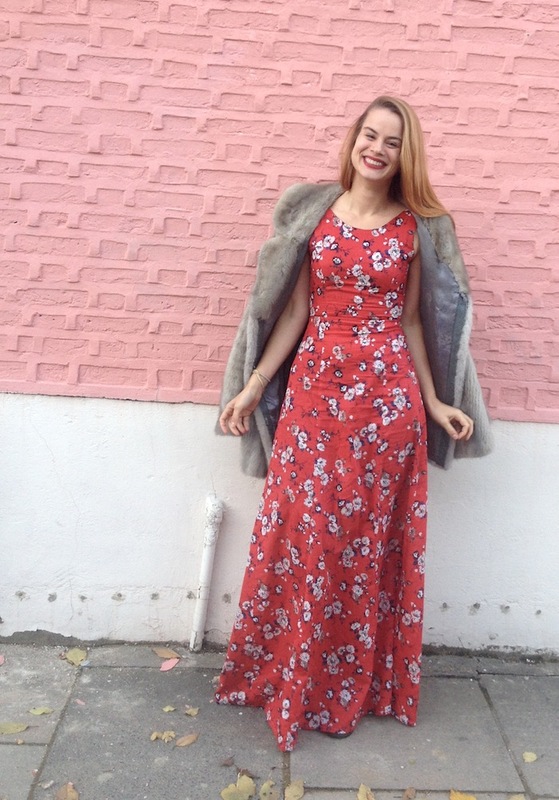 For this lovechild, the zipper on both the Elisalex Dress and the Anna Dress is at centre back. Does each pattern differ wildly in recommended fabrics? Or will you be getting a great result out of each pattern made up in the same fabric? For this combination of Elisalex Dress bodice and Anna Dress skirt, we want to ensure that the skirt drapes and falls beautifully, so we've chosen a buttery soft cotton lawn, which will work both for the skirt and bodice. In order to get the bodice's princess seams to flow smoothly into the seams of the skirt panels, we need to slightly alter the width of the skirt panels so that all the seams match up when joined at the waistline. 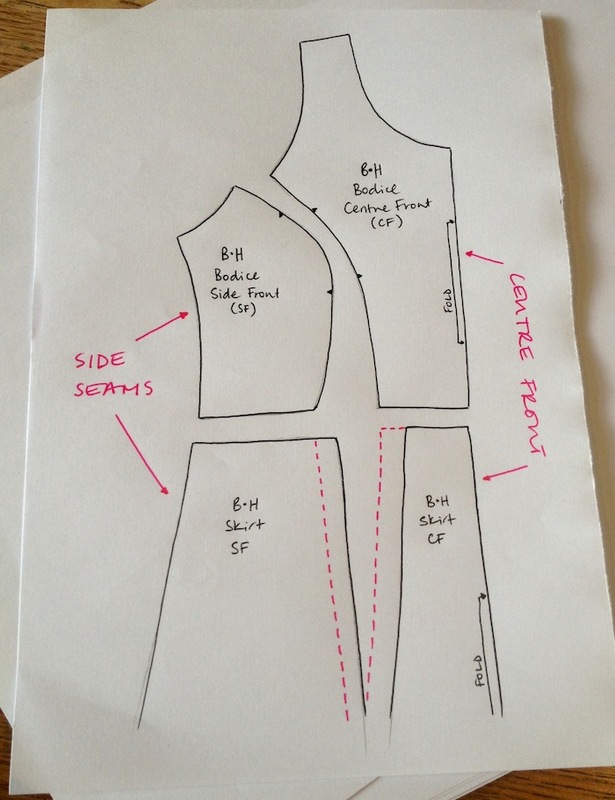 This is simply a case of lining up the bodice pattern pieces and corresponding skirt panels, matching at side seams and centre front/back, and either folding back the excess from a skirt panel, or adding a strip of paper to widen. 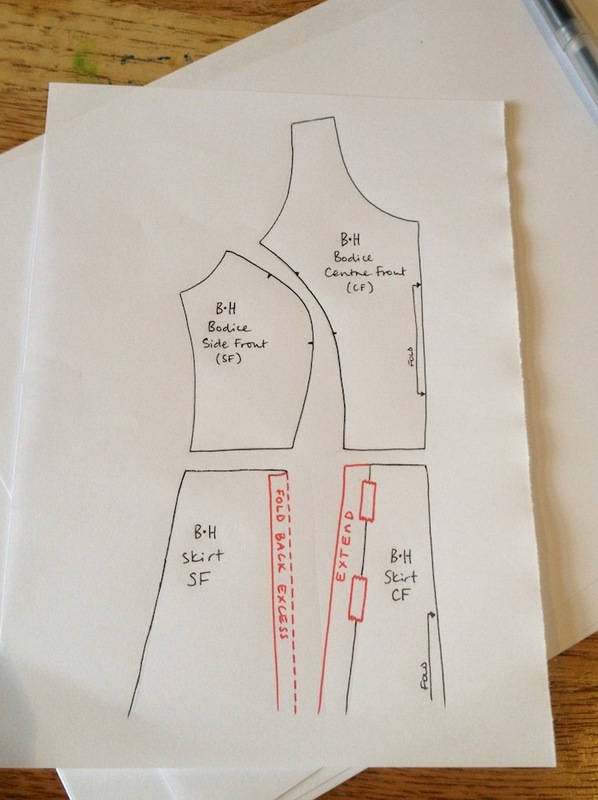 As you can see outlined by the pink dotted lines in the diagram above, the skirt centre front panel needs to be wider in order to be the same width as the bodice centre front, and the skirt side front needs to be narrower in order to match the bodice side front. Simply fold back the excess from the right-hand side of the skirt side front panel (continuing the fold evenly down the entire length of the pattern piece) to make it narrower, and to amend the skirt centre front add a strip of paper down the entire left-hand length to widen it accordingly (changes to be made shown in red). Repeat this process in the same way for the bodice and skirt centre back and side back pieces. Now you can go ahead and get cutting and sewing! Remember, as well as your instruction booklets, you will always have access to our Elisalex Dress Sewalong and our Anna Dress Sewalong for more guidance and tips. As ever, we want to see your Lovechildren! Share your creations with us on our Facebook page, tweet and Instagram us @byhandlondon using the hashtags #byhandlondon, #annalex and #BHLlovechild.